East Side Eddie Report.com is 1 Year Old!! During the past year, I have posted 87 stories and articles and 261 comments. East Side Eddie Report.com’s 2,000+ followers on Facebook, Twitter, Linked-In, and ESEReport.com have viewed the blog over 24,000 times! To read about my perspectives on education, leadership, and a variety of other issues, please feel free to click on one of the TAGS to the right of this page to find a topic that interests you. None of this could have happened without your support. 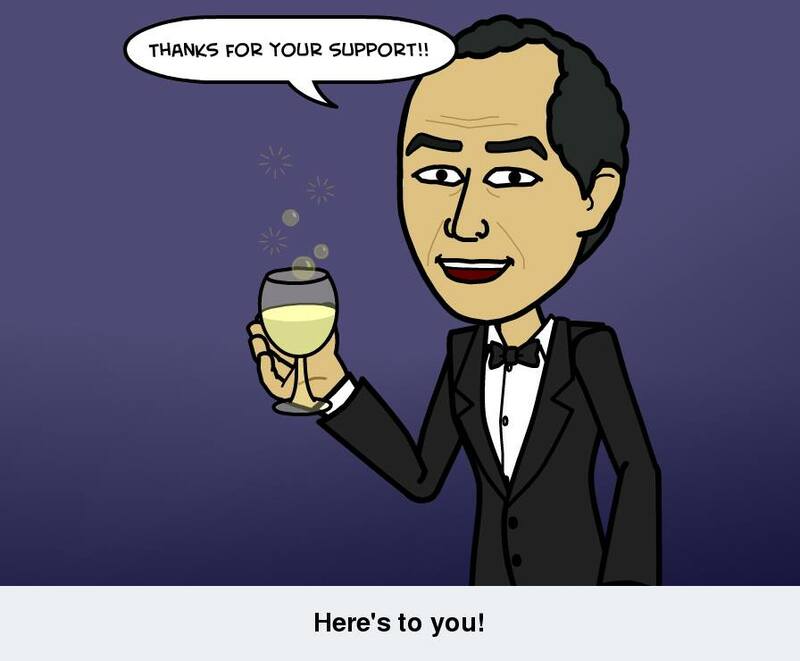 I can’t begin to express my gratitude to you for checking in on East Side Eddie Report.com every week. As long as you keep reading, I’ll keep writing! From the late 19th century through the early 20th century, William Jennings Bryan was the driving force behind the populist wing of the Democratic Party. He was the Democrats’ candidate for President of the United States in 1896, 1900, and 1908. Although he lost all three times (that’s something I can relate to), Bryan spoke from the heart and captured the soul of the modern Democratic Party. 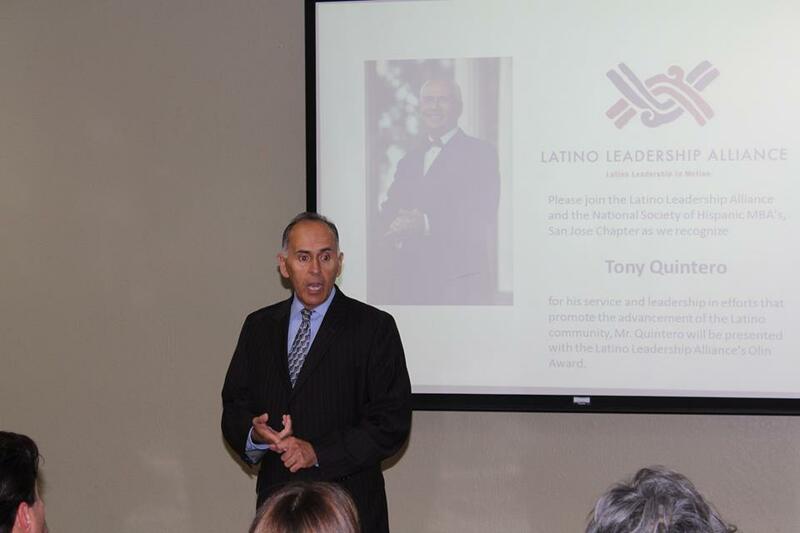 Over the last several months, I’ve had the privilege to speak at community gatherings, corporate partnership meetings, San Jose State University, Gavilan Community College, and local high schools. Each one of these opportunities has been a humbling experience as audiences have inspired me to speak from the heart about my passions: leadership, education, and second chances. If your organization or event planners are looking for a speaker who inspires audiences with heartfelt, amusing, and compelling stories, check out my speaking services. I tailor each talk to engage your audience by drawing on stories about life growing up in a working-class neighborhood and sharing insights from over 25-years as a corporate executive, school board president, community leader, and high school and junior college basketball coach. To schedule me for your next event or conference, send an e-mail to eddie.m.garcia@comcast.net or call 408-426-7698. “College isn’t for everybody.” The first time I heard this was from my high school counselor who discouraged me from applying to San Jose State University. I heard it over and over again from teachers and other school leaders when, as president of the school board, I proposed making high school graduation requirements the same as college eligibility requirements. That statement has some truth to it, but you have to make that determination on your own. Teachers, counselors, the school system, parents, family, friends, and society don’t have any business telling you if college is the right path for you. Unless your heart is set on a career that requires no education, I highly recommend that you give college a try. I failed at my first try at college, so I went out into the world and tried to make a living without an education. I drove a forklift at a sheet metal company and worked in construction to quickly learn that I was miserable. I tried selling shoes, toys, and sporting goods to find out that the fastest path to management was a college degree. I coached middle and high school kids, but that didn’t provide a living. So, in my mid-20s, I went back to college. This time I put my heart and soul into it. My goal was to be a high school history teacher and basketball coach. A funny thing happened on the way to that goal: I never got there. 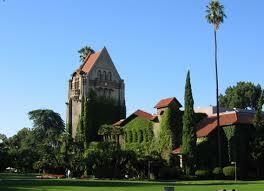 Studying history at San Jose State University blew my mind wide open. I became fascinated about how business, politics, education, and ideas changed the course of history. This fascination led to a career that has been a wild, but fulfilling, ride. When I walked into Spartan Stadium on graduation day, I wasn’t sure what I wanted to do anymore. I loved kids and coaching basketball, but the college experience taught me that there was so much more out there than I could even imagine. I took a position as legislative assistant to a city councilwoman, not knowing what that meant. The research, writing, and public-speaking skills I learned in college were a perfect fit for the job. My fondest memory of that first job as a college graduate was when the councilwoman led the effort to rename the central city park in honor of Latino icon César Chávez. I suggested that the organizing committee, which included Chávez family members, honor César by engraving his name on the face of the park’s marble stage. They agreed. I got goose bumps the day that city leaders and the Chávez family unveiled the engraving. I still get goose bumps every time I see it. Since that experience, I’ve worked in business, served on the school board, and returned to local government. Instead of teaching history, I’ve been a witness to history. I was in Denver’s Mile High Stadium as a corporate executive when President Obama accepted the Democratic nomination for president in2008. As a school board member, I saw parents and students save high school sports and win the fight for graduation requirements to mirror college eligibility standards. There’s an old saying that goes something like this: “No one can ever take away your education.” A few years ago, I had a massive heart attack that nearly took my life. With a damaged heart, my ability to work 18 hours a day, play basketball, and ride roller coasters has been taken away. But, I can still read, write, research, speak, and share stories with anyone who’s willing to listen. I couldn’t do any of that without my San Jose State University education. I understand that college might not be for everyone. Our world depends on people who work in the trades, drive goods to market, and provide services. These are honorable professions that deserve our appreciation. My parents worked hard without a college education, raised a family, and encouraged their children to reach for the stars. Even though they didn’t have a university degree, they knew we needed one to achieve our dreams. Cultural and socio-economic conditions seven decades ago made it difficult for my parents to get a higher education. We live in a different age today. There are so many more opportunities than a generation ago, especially for Latinos. Society may be telling you that you’re destined to be a truck driver, receptionist, construction worker, or landscaper. That may be true. That may be your destiny. But you ought to give college a try first. You never know what could happen. Eddie is available to speak at your next event or conference. To learn more about speaking services click on the “Speaking Engagement” tab under the banner on this page. To schedule Eddie for your next breakfast, luncheon, or dinner event, e-mail eddie.m.garcia@comcast.net, or call 408-426-7698. I’ve written about failing at my first try at college and suffering a health crisis that nearly took my life 25 years later. Both episodes resulted in life-changing transformations. I eventually earned a degree and had a dynamic career in executive management and public service, and after that awful summer in the hospital, I got the gift of time to reflect on my experiences. In the reflection process, I found purpose in life. Growing up in a working-class family, coaching basketball at my high school alma mater, serving as board president of a large school district, working as a vice president of a major U.S. company, and serving as senior staff to public officials have provided me with a treasure trove of stories and anecdotes. These stories are my inspiration for writing East Side Eddie Report.com. Along the way, I’ve learned a few life lessons about failure, despair, hope and the power of perseverance. The purpose behind creating East Side Eddie Report.com and writing Summer in the Waiting Room is to share these stories to inspire others to achieve their dreams and aspirations. With that in mind, I’m now available as a motivational speaker at conferences, corporate meetings, school activities, and community events. Speaking fees are reasonable and negotiable in order fit any budget. I’m also available to speak to middle and high school students at no cost. 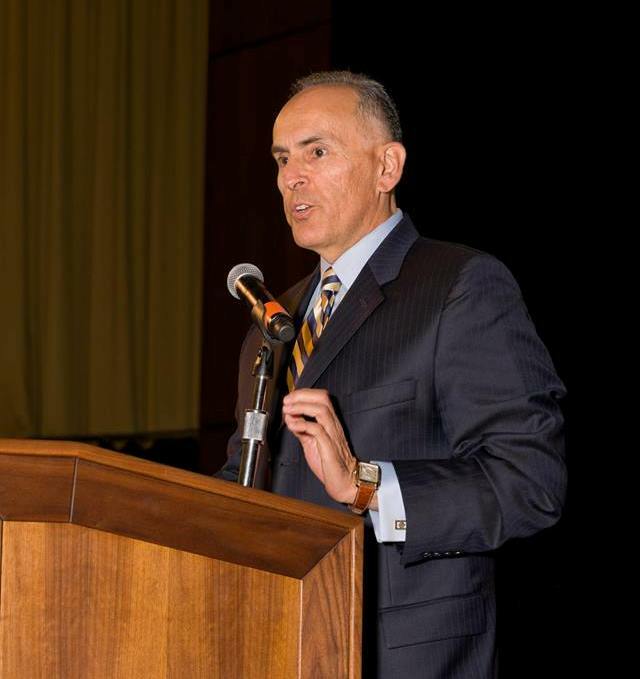 To learn more about speaking services and to schedule a speaking engagement for your next event or conference, click on the “Speaking Engagement” tab at the top of the East Side Eddie Report.com page, e-mail eddie.m.garcia@comcast.net, or call 408-426-7698. Heart Evaluation is Done…It’s Showtime! Betty Martinez on Am I Adding Value? Skyler leach on Oh Boy!